Credit: Image by Johan Larsson on Flickr. Creative commons licence. Some rights reserved. Here is our crowdsourced guide on useful apps for mobile reporting for journalists with an Android device. The list focuses on apps that are most useful to journalists when they are out and about, and includes apps that allow you to shoot and edit photos, video, and audio, plus write text and gather and share stories using Twitter. This app will give you more manual control than the standard camera app, allowing you to both shoot and edit. It's been named "the best camera app for Android" by Lifehacker and lives up to that accolade. This HDR (high dynamic range) app provides a greater dynamic range between the lightest and darkest areas in a photograph, giving a more defined image with vivid colours and rich details. The app allows you to take a picture and then manually alter the exposure, brightness and contrast. PicsArt offers a host of useful basic editing functions for when you're away from your more powerful desktop package. Along with a vast array of Instagram-style filter effects, the app provides the usual photo editing capability, allowing you to add text and amend contrast and brightness. Imageotag is a "field camera app" that allows you to geotag your images with location, date, time, compass data and more. This is not only a great app for taking photos, but could be used if out with a DSLR or compact camera as a way to save location information that can be later added to your digital images. Imageotag also maps your image using Google Earth. Speaking at the Guardian Activate Summit this year, Neal Mann social media editor at the Wall Street Journal (@fieldproducer on Twitter), talked about the potential for the role of "multilayered storytelling” in journalism. He also said how journalists are starting to share "background" to stories by providing additional elements such as 360 degree panoramas. This simple app will allow you to do just that. Bambuser is a live video feed app which allows you to broadcast livestream video in real-time or save for later distribution. It is a favourite of many journalists, and has been used on an iPhone by Nick Martin, north of England correspondent at Sky News, to stream video during fuel shortages, sharing the live footage with his Twitter followers. AndroMedia Video Editor enables you to edit videos on the fly. You can import videos and photos, trim, crop and add transitions and then share by bluetooth, Dropbox, Gmail, messaging or YouTube. Clesh is a powerful cloud-based video editor with lots of video transitions, colour correction and graphic overlay options. As it's a cloud-based editor, you will first need to upload your video to the cloud, which can be done over 3G (although wifi is obviously quicker). You can then edit on your phone or another device, including on a PC or Mac. This app allows you to create quick audio slideshows. 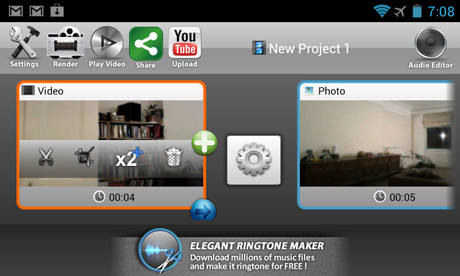 Add photos and audio or record a voice track within the app. An alternative is Video SlideShow Maker. This one was nominated for the list by Jason Phipps, podcast producer for the Guardian's Tech Weekly, Science Weekly and Media Talk podcasts. In recommending the app he explains that it "uses the internal mic but records audio at a much higher quality" than the standard voice recording app, adding "every journalist should have it". Record My Call allows you to record your calls in mp3 format using your phone's microphone. For best results use the device's loudspeaker. It's not broadcast quality but good for recording interviews that are going to be transcribed. Record My Call doesn’t work on every handset. You can find a full list of compatible phones here. SoundCloud is an increasingly popular way to record and distribute audio for journalists. It offers numerous other features that are of use to journalists, including the ability to search for audio sources relating to a news event, bespoke maps can be created from crowdsourced audio and others can contribute interviews and recordings. Last month app updates added an incredibly useful new feature: the ability to trim and edit audio recordings. This makes it easy to cut out sections or remove imperfections at the beginning and end of an interview before sharing. 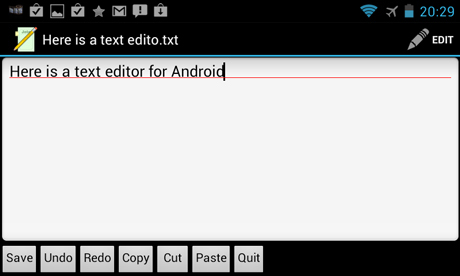 A simple text editor for writing news articles from your phone. You can share via Dropbox or Gmail. The ever-popular blogging tool on the Android platform allows mobile reporters to write new posts, edit content and manage the comments on their blogs. One thing to keep in mind with this app is that longer posts can be tricky to publish on a small screen. 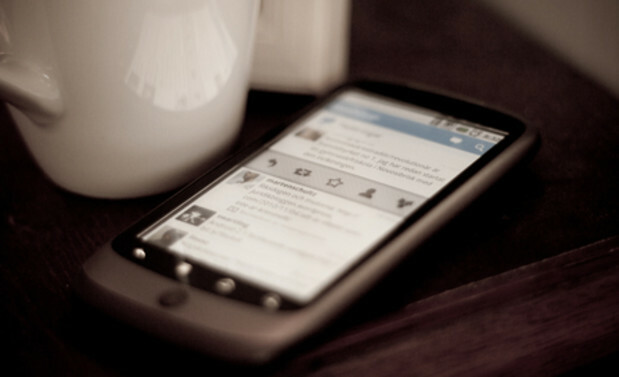 Among the range of Twitter clients available for Android, this app stands out. The user interface is easy to use and clean, particularly if you remove the adverts, and the comprehensive search option tool allows you to search for things on your own timeline or on another user's rather than the whole of Twitter. You can also add and manage multiple Twitter accounts. For more suggestions of useful free Android apps for journalists see Richard Kendall's blog post. Have we missed a great Android app for mobile reporting? Leave us a comment in the box below.